The clouds are Vue 7 spectral 2 ones. Both airplanes are from the Deespona collection. 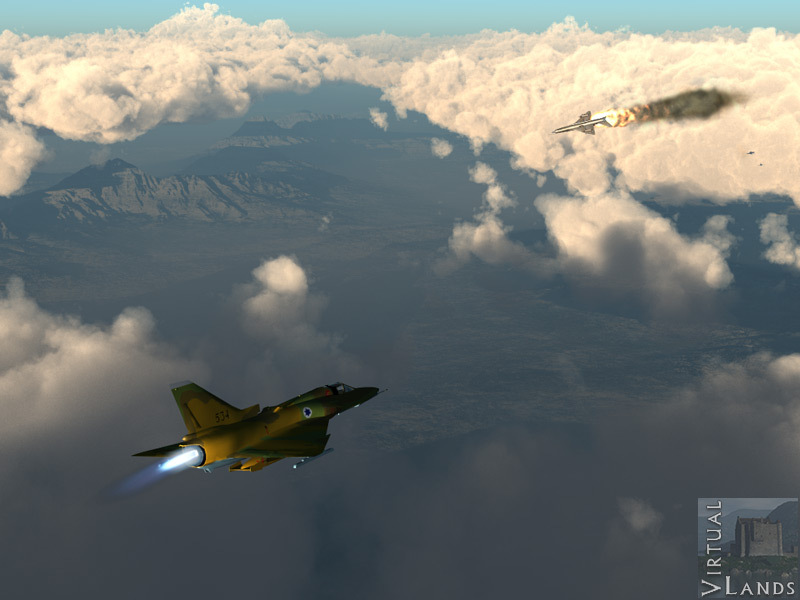 I was lazy and did not rework the Mig 21 maps (the Syrian ones were not metallic grey).